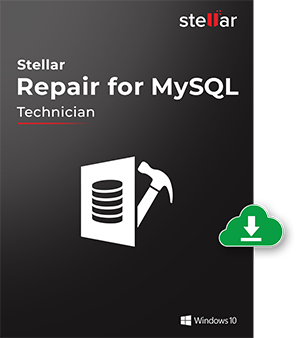 Stellar Repair for MySQL is a competent tool that fixes MySQL database corruption and performs safe restoration of all inaccessible objects, including primary keys, views, triggers, etc. *Free download to repair & preview recoverable MySQL database objects. I am very thankful of stellar database recovery for MySQL software. It repairs the severely damaged database file and bring the database into live state. With this, it has the data preview facility, which really helped me to trust on it. Thanks a ton!! The software helps you reliably repair any corrupt MySQL database and recover data from inaccessible tablespaces or tables. 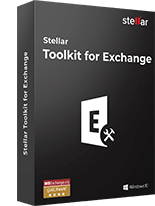 The tool facilitates complete database recovery ensuring your tables and other objects are recovered without any changes to their original formatting. The software supports primary MySQL database engines: MyISAM (.frm, .myd, .myi) and InnoDB (.frm, .ibdata, .idb). It allows restoring the tables based on these engines to a functional state. The tool recovers table properties, relationship constraints, and keys of both MyISAM and InnoDB tables. This MySQL recovery tool offers the convenience of recovering MySQL databases created on Linux computers. You can carry out this by copying the database folders and 'ibdata1' file in your Linux system to a Windows machine. The software provides an early sneak preview of database objects after finishing the scan. You can select the objects in the tree-structured list generated in the left pane and preview all the desired items you need for recovery. The software presents you with two options at the time of selecting databases, i.e. repair databases at default location of MySQL or manually select databases for repair. With this flexibility of choosing the desired option, you can make database repair on your terms. Follow this link to select databases manually and automatically. The tool has capabilities for performing batch repair of MySQL databases in a single operation. Using this feature, you can reduce your painstaking job to an easy and streamlined recovery operation ensuring consistent results. With this exquisite utility, it is easy to search for desired objects in the list of scanned items. To do so, enter the object name in the 'Find Items:' text box on the toolbar and specify the search options. Once you get the desired files, go for selective database recovery. The software features an interactive interface containing menu ribbons and a quick access toolbar. You can perform various operations to customize the software and get the desired look and feel. You can add commands to the Quick Access Toolbar and assign shortcuts to these commands for convenience. The software does a good job of performing MySQL repair under all MySQL database corruption errors. With this tool, you can rest assured of consistent repair results even in instances of severe database corruption. The tool supports database repair for files created in MySQL version 6.x, 5.x, 4.x, and 3.x. The software easily runs on any Windows platform, including Windows 10, 8.1, 8, 7, Vista, and XP. I am using MySQL 5.5 and working on my Innodb database. I am trying to access one of my tables that seems to have gone corrupt after facing a bad server shutdown. How can I recover this table using Stellar Database Recovery for MySQL? 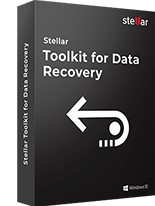 You can use Stellar Database Recovery for MySQL to repair your corrupt InnoDB database. Note that you should place the corresponding 'ibdata' file in the same folder that contains the database. The software allows you to perform selective recovery of database objects, i.e. you can recover specific objects in your MySQL database and save them to a desired location in the system. To do this, select the database to be recovered through the software and begin the scan process. After completion of the scan, choose the desired objects that you need to recover and specify a destination to save the recovered file. You can now use the new database to access all the recovered MySQL objects. Does the software repair MySQL database that is created on the Linux platform? What are the steps ? Yes, Software repairs MySQL database that is created on the Linux platform. To do this, you need to copy databases from your Linux system to a Windows system and then perform recovery on the Windows platform. Follow this link for full recovery steps. Where are the recovered MySQL databases saved in my system? The software saves the recovered databases in a new folder at the same location where the original database is stored. The new folder is named as ‘Recovered_databasename’, where databasename is the name of your original MySQL database. Is MySQL needed to be installed on the system for previewing & recovering database? For previewing database; MySQL is not required. But, to save the repaired database, MySQL must be installed on the system. I do not have MySQL installed on my Windows system. Can I use this software for recovering MySQL databases? Yes, it is must to install the MySQL database application before performing the recovery operation. However, you can scan the corrupt database file and preview the recoverable MySQL objects without installing MySQL database. Does Stellar Repair for MySQL support MySQL 5.7? Yes, software supports repairing of corrupt MySQL database created using MySQL 5.7. Does the software repair Properties of Tables? Yes, the software performs repair of the complete database, including table properties. Does the software work under all MySQL Server Corruption errors? Yes, the software works under almost all types of MySQL database corruption errors. 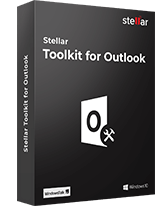 You can customize the Quick Access Tool bar of the software by adding options to the tool bar, assigning desired keyboard shortcuts to run commands and improving the appearance of the user interface. You can click the drop down in the Quick Access Tool bar of the software and customize the tool bar. My Corrupt MySQL Database file is created in MySQL 3.x version. Now I have MySQL 6.x version. In this case, can the software repair my file? Yes, the software can repair your database created in MySQL version 3.x even when you have MySQL version 6.x installed on your system. You require an upper version of MySQL to repair 3.x files with this utility. 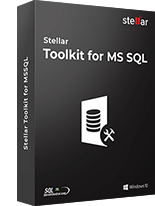 Stellar Repair for MS SQL is an enterprise-grade database repair software, highly recommended by MS..
Stellar Repair for Oracle is a reliable database repair tool. 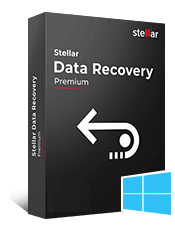 It recovers Oracle database componen..
Stellar Repair for SharePoint that safely repairs SharePoint databases or SQL Server files to retrie..